ESL Made Easy: February Topic: The Lunar New Year! The Lunar New Year, beginning February 16th, is best known as the Chinese New Year and is celebrated by many cultures around the globe. Its origin has to do with harvest and since this special time follows the lunar calendar, it falls on a different day every year. There are many festivities, traditions and customs which can make this an interesting and lively topic. 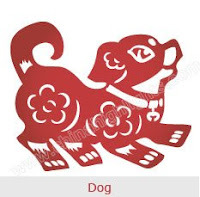 Have your ESL students not only learn about the festivities that vary from culture to culture, but also the symbols and beliefs of the Chinese zodiac and what that means for the year ahead! 2018 is the Year of the Dog according to the Chinese zodiac. Find out what's in store for you (here) if you were born in the year of 1934, 1946, 1958, 1970, 1982, 1994, 2006, 2018.